"This project, Mirror in Mirror, really was a very collaborative process, but it took ten years to create. And just the recording itself was over a two-year time span. That's a lot of traveling. We were in three different studios  from the UK to New York City, New York state  to record all the various pieces on the album." 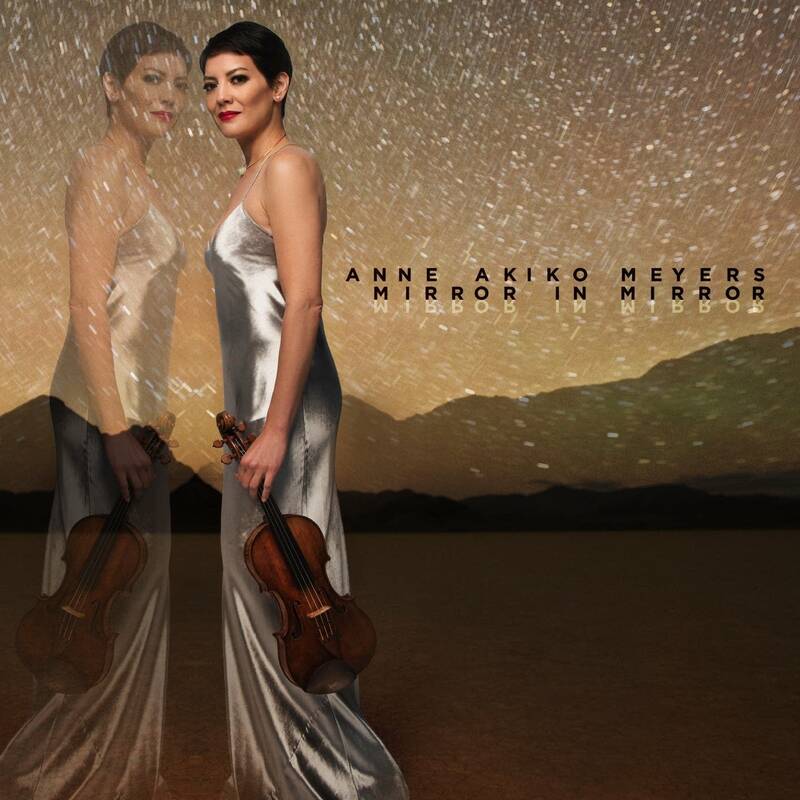 Every time she releases a new recording, violinist Anne Akiko Meyers says it's her last. That was 37 albums ago. Her latest is a highly personal collection. It allows her to collaborate with five of the six featured composers. "I just have such a passion to follow these composers and such a deep respect and awe for composers in general. It just brings back how I really wish I could just go back in time and harass so many composers who didn't leave enough violin repertoire in their legacy." The recording opens with an arrangement for you of Metamorphosis II by Philip Glass. Why did you want this piece to be the opening piece on the recording? "It is so soulful, and it's very haunting. When I heard the original for piano solo, I immediately thought, 'Oh, the violin has to get in there somehow. This has to be arranged for violin.' After contacting Philip Glass, he recommended that I work with Michael Reisman, who has worked with Philip for decades. "As Michael was arranging the piece, he wasn't aware that Arvo Pärt's Fratres was listed as number two on the album. He just coincidentally mentioned, 'You know, my version of Metamorphosis II is very influenced by Arvo Pärt's Fratres,' and I was so amazed with that statement. I was like, 'Wow! Are you reading my mind?'" There are two lullabies on this recording. And one was written for your daughter Natalie by John Corigliano. Tell me how this one came to be. "My husband surprised me with a great gift. He asked John Corigliano to write a special lullaby for her. But after she was born we couldn't figure out her name for a little bit of time. So, it was a lullaby for a random baby. And the funny thing is, I hear her name throughout it, everywhere. "To this day Miss Natalie, who's now 8 years old, listens to her lullaby every other day because her younger sister has claimed Spiegel im Spiegel as her lullaby." Now, I know you have a history of harassing composers because you just admitted it again. You harass them into writing pieces for you, and finally you got Morten Lauridsen to commit to creating an arrangement for you of his very well-known choral work, O Magnum Mysterium. How did that finally come together? 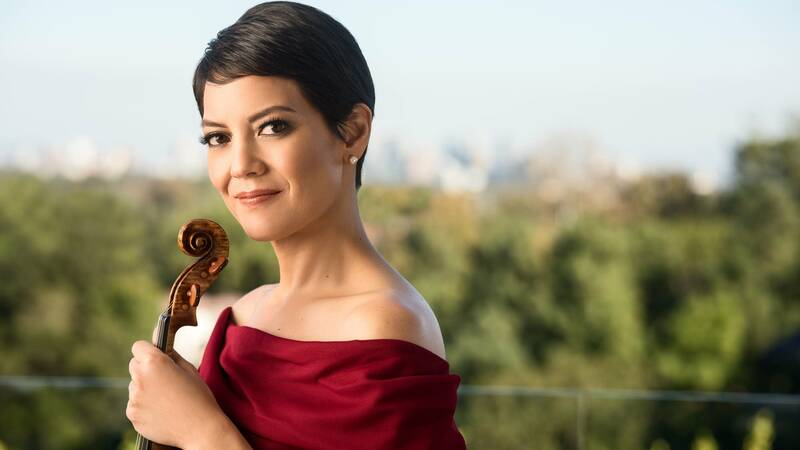 "I'm so eternally grateful that each and every one of these composers has written some of the most sublime music, and that now they have left a legacy for other violinists and audiences around the world to enjoy."